If it’s Not from the Champagne Region of France, is it Really Champagne? 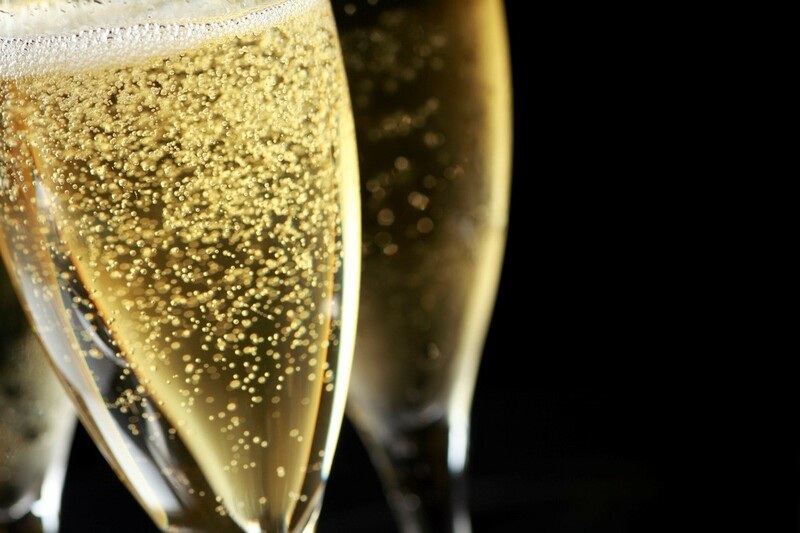 All champagne is sparkling wine, but not all sparkling wine is champagne. You may have heard people who claim to be knowledgeable about such things tell you that sparkling wine can only be called champagne if its origins are from the region of Champagne, France. It must be made from the Pinot Meunier, Pinot noir, and Chardonnay grapes grown in this region. These people are correct, mostly. Throughout the European Union and most of the rest of the world, the name “Champagne” is legally protected by an agreement called the Madrid system. This 1891 treaty designates the sparkling wine produced in the region and requires it to adhere to the standards defined for it as an appellation d'origine controlee. But there’s a loophole. Anybody can make sparkling wine if they know how, thanks to the monk Dom Perignon, who discovered the process in the late 1600s. Monsieur Perignon gets the credit, but it’s likely that the process was created slowly over time by the monks who lived in the Champagne region of France. Sparkling wine starts out the same as regular wine. Carbon dioxide is produced when yeast begins to consume the sugars in the wine. In the case of champagne, this carbon dioxide is not allowed to escape. The gas is trapped in the wine, and released in the form of tiny bubbles when the bottle is opened. Winemakers from all over the world produce types of sparkling wine. They cannot make even a vague reference to champagne if they are to be sold in the European Union, however. So, how is it possible for winemakers—mostly in California—to be able to create sparkling wine and use the word “Champagne” right on the label? We have World War I to thank for that. This historical document brought about an end to the first World War, and it also had a few additions to satisfy the major players. War activity in the Champagne region of France destroyed nearly all of the winemaking facilities there by 1917. Peace would return to the region, but champagne-making might not. But, if you recall from your world history class, the United States never signed the Treaty of Versailles. The US Senate never ratified the treaty. And France probably wasn’t too concerned about competition from the United States because Prohibition was about to put an end to California’s winemaking capacity. Prohibition did decimate California’s wine industry. Sales history shows that it didn’t really regain strength until the 1970s, during which winemakers began to produce inexpensive wines sold in jugs. As a marketing ploy, these wines were given names like Chianti, Chablis, and Burgundy. Speaking of Burgundy—the California version—the popular 1970s “Hearty Burgundy” by Carlo Rossi, was actually made from a blend of Zinfandel grapes. There was nothing even remotely associated with the region of France, much to that country’s chagrin. And France was getting a bit agitated by the continued use of treaty-protected appellations by California winemakers—especially when it came to champagne. If a United States winemaker had used one of these “semi-generic names,” such as California Champagne, prior to March 10, 2006, they would be allowed to continue to include it on their label indefinitely. Is there any remarkable difference between California Champagne and the sparkling wine that by virtue of a global treaty bears the right to be called Champagne? The rest of the world thinks so. France continues to grumble that California winemakers are causing consumer confusion. What would Dom Perignon think? We’re not sure. But he’s wound up as a trademarked brand of Champagne created in 1921 by France’s Moët & Chandon. It’s less complicated than you think: Wine cellars are for long-term storage and aging. Let’s get something important out of the way first. If you buy a bottle of wine today and plan to drink it in the next month or so, you don’t really need to worry all that much about storage. In that case, your concern is more about how to protect it and prepare it for drinking. Wine cellars are for long-term storage, and their objective is to help the wine age. With that in mind, here’s what you need to know about how to store wine—either to drink in the near future, or to store and age it, if you don’t have wine cellar. Wine cellars are perfect for storing wine because they can offer the optimal conditions for wine to age. If you plan to drink wine soon after purchase, you don’t have to worry about humidity, and you need to be less worried about temperature and light. Let’s take a look at each of the ideal conditions so we can understand why they’re important for long-term storage, or aging—keeping in mind that this probably is the only reason why you would want to put wine in a wine cellar. Kudos if you have a wine refrigerator. 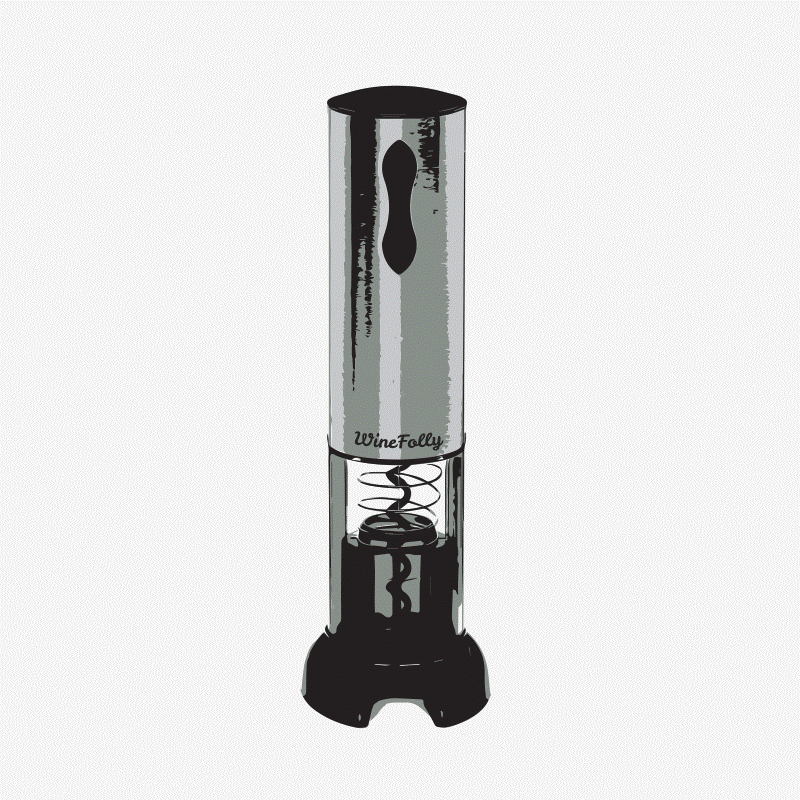 It’s keeping your wine between the temperature of 40 and 65 degrees—which is the range of wine serving temperatures. Long-term wine storage for the purpose of aging requires the wine to be maintained instead at about 55 degrees. Why? Oxidation is the enemy of all wine. However, some oxidation is a part of the aging process. The 55-degree temperature is that perfect balance that prevents complete oxidation, which will kill wine. What does a dead wine taste like? It’ll be flat. The oxygen will have robbed it of the volatile chemicals that create a wine’s aroma. It’ll also change color. White wines will darken and take on an amber color, and red wines will take on a brownish hue. Excessive heat increases the rate of wine oxidation. A wine stored at 73 degrees ages twice as fast as wine stored at 55 degrees. 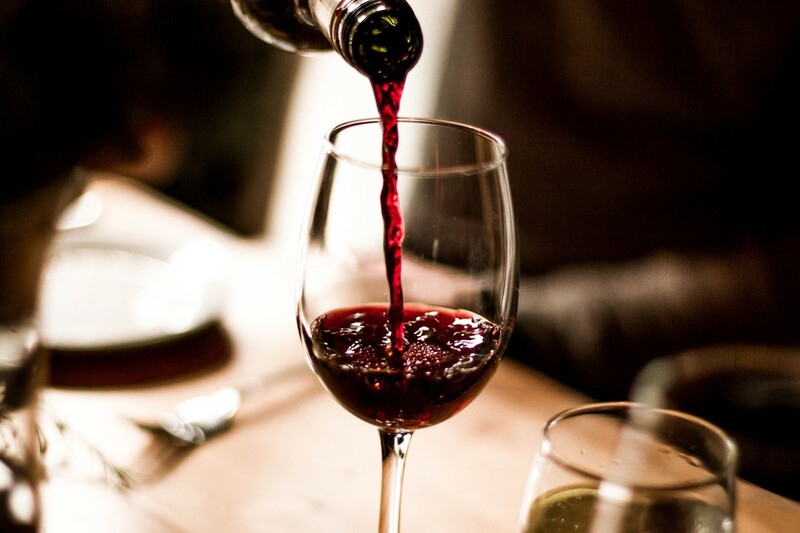 While you might think this would be a good way to add some mellowness to a sharp cabernet sauvignon, at about 70 degrees, the components of wine begin to react to heat to create unpleasant tastes and aromas. It’s possible to actually cook a wine at temperatures above 80 degrees. A degree or two of temperature fluctuation might not seem like anything to worry about, but it turns out to be a big deal for long-term wine storage. 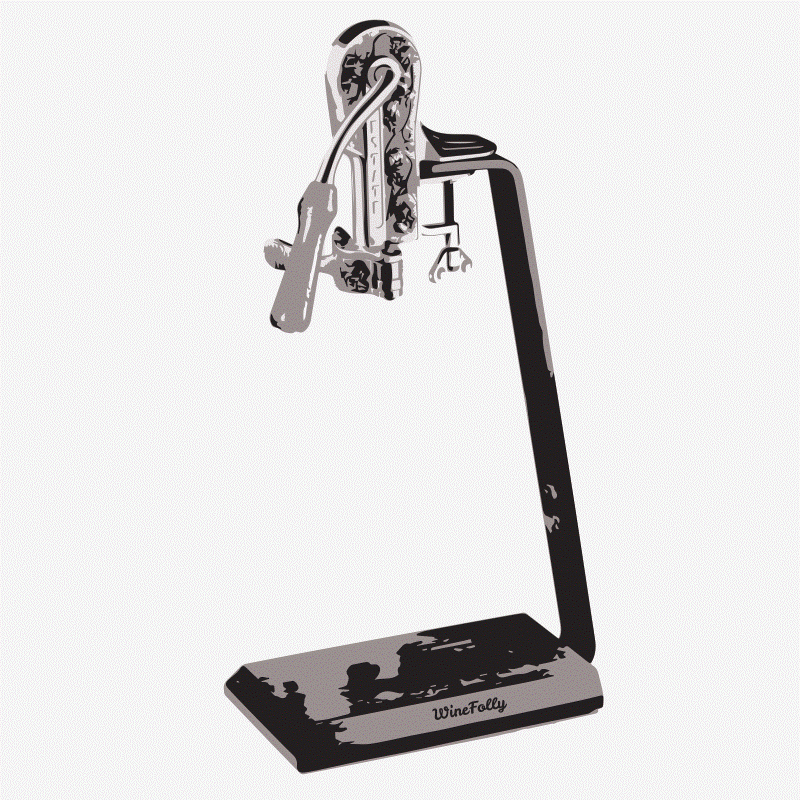 Even a couple of degrees is enough to expand the wine’s volume and put pressure on the cork. When it cools the differential pulls air into the bottle. That’s an invitation for unwanted excess oxidation. Wine is put in colored glass bottles to protect it from ultraviolet light. This offers some protection, but your wine will need more for long-term storage and aging. White wines are most susceptible to damage from light. The term is called “lightstruck,” and it causes wine to take on taste most often described as like wet cardboard. 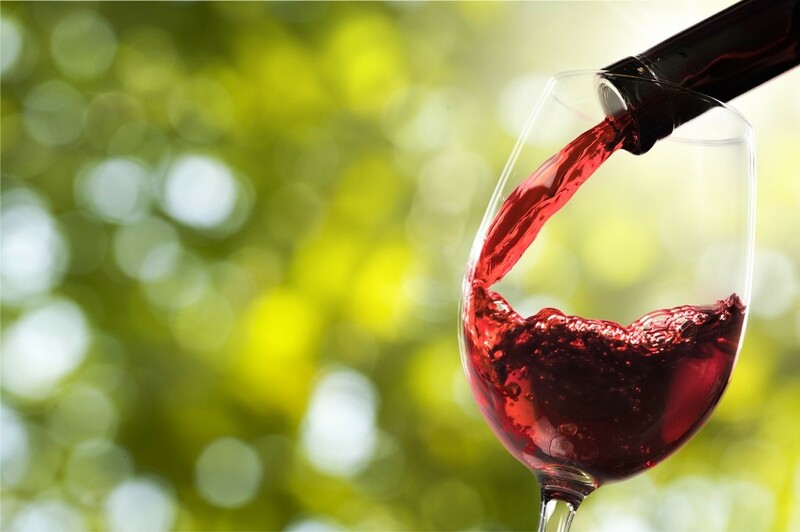 Red wines are less susceptible to being lightstruck because they contain polyphenols—also known as tannins—that protect it. It isn’t just excessive sunlight that’s the enemy of wine. Fluorescent light is just as bad. 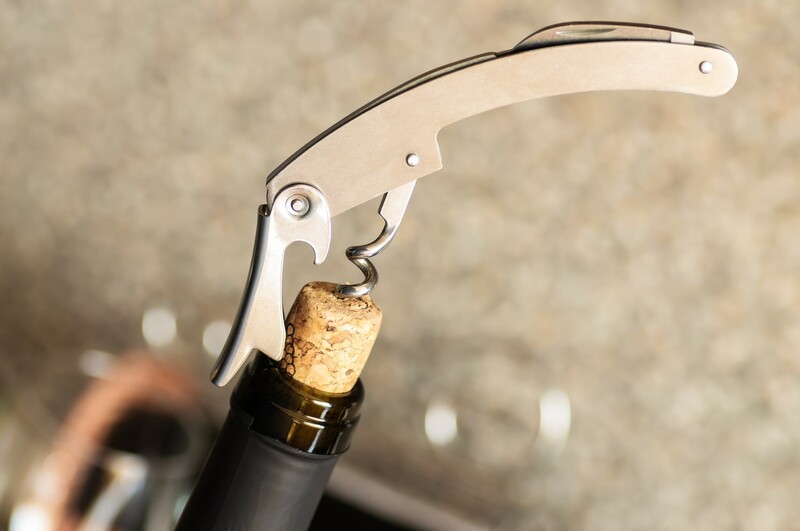 This is all about protecting the cork in your bottle of wine, so there’s nothing to worry about if it has a twist-off metal cap. 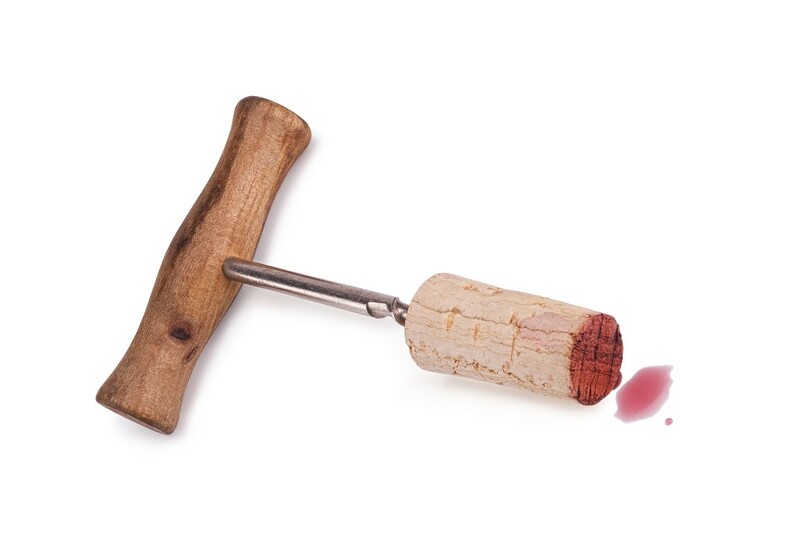 The objective is to keep a certain amount of moisture in the cork. Don’t be fooled into thinking the solution is to lay the bottle on its side. 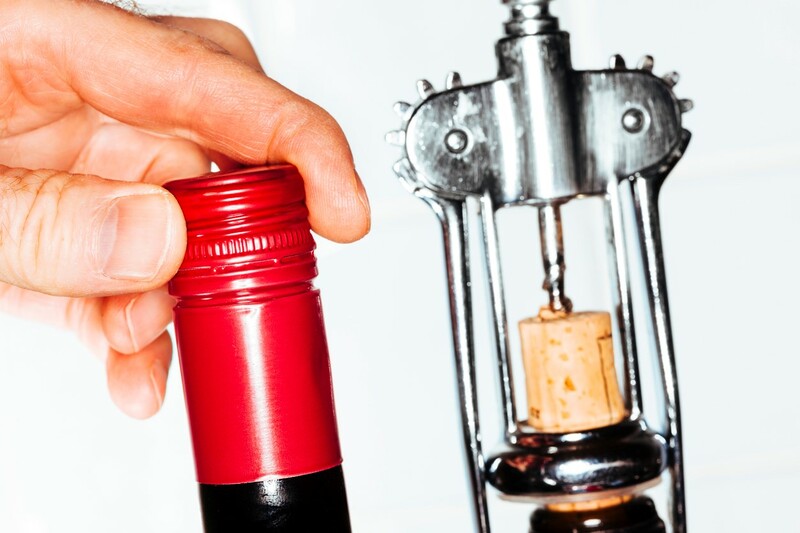 The only thing this accomplishes is to keep the cork moist on the inside of the bottle—and that’s only half the battle. A wine cellar allows you to maintain an even and constant humidity to prevent the top of the cork from drying out. It will shrink and crack of this happens. 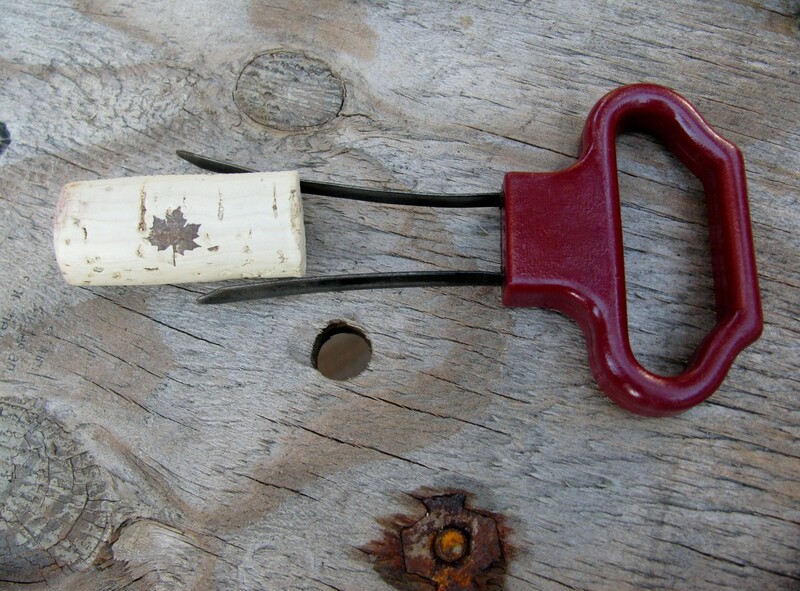 A constant humidity of about 70% helps the cork to maintain an effective seal. A higher humidity may bring on the occurrence of mold on the cork and the label. The only thing this impacts is the appearance. Bottom line: it’s better to have a humidity level of 70% or higher. Where to store your wine? Places to avoid include your kitchen, a storage shed, and your garage. Wait, back up. The kitchen is a bad place to store wine? For long-term storage and aging, yes. It can be one of the hottest places in your house, subject to huge temperature fluctuations. Kitchens also tend to be well-lit, and we like them to have lots of windows to let in the sunlight. Your garage or a storage shed will expose wine bottles to extreme temperature fluctuations. The cork can also allow car exhaust fumes and vapors from things you keep in storage sheds to work their way into your wine. Do you have a basement? That’s your substitution wine cellar. Choose a subterranean wall—not all basement walls are completely underground. Look for wine racks made of redwood. It’ll be maintenance free for you. Remember this important point. A wine refrigerator is not what you could call a miniature wine cellar that fits in your kitchen. While it’s great for short-term storage, its purpose is to keep your wine at the proper serving temperature. Is it Blasphemous to Order White Wine to go with my Steak? Yes, people take wine seriously—which is why it’s possible to attach the word blasphemy to those who do not speak the truth about this glorious liquid. Often, though, blasphemy turns out to be only an accusation made by the uninformed. Ask Galileo, who in 1633 was accused of blasphemy and found guilty of heresy for daring to declare that our planet revolved around the sun. Galileo spent the rest of his life under house arrest for this. Don’t worry. A similar fate does not await you if you declare that only white wines go with fish or reds with meat. There are uninformed people out there who may accuse you of blasphemy. Now, you can help them see the light. There’s validity to the idea of the white/white red/red rule, but you shouldn’t apply it in all cases. Not all red meat is the same. You likely wouldn’t confuse salmon with flounder. The same is true with wine. So, while it’s generally a wise idea to pair white wine with fish, it’s also important to look past the color. A Gewürztraminer tastes completely different than a Sauvignon Blanc—yet both are white wines. This takes us to the idea that wines and food have the responsibility to pay complementary respect in flavor, which sometimes has little to do with color. Your Dover sole filet would be overwhelmed by our Sangiovese. The flip-side to that would be the consequences of pairing our Pinot Grigio with a strong and oily filet of salmon. And then there’s the consideration of how your meat or fish is prepared. Perhaps you’ll prepare calamari Fra Diavolo-style. A delicate white wine would be lost in the mouthful of spices. Hard and fast doesn’t work well with the complications brought on by pairing a main ingredient—in this case, either meat or fish—with myriad cooking styles, and then applying the white/white red/red rule. Oven-baked fish, as well as oil-rich filets like salmon, can be paired with a medium red wine. Think Pinot Noir. Careful with the stronger reds, though. Fish may taste mild when it’s unadorned—but its iodized undertones can clash with a red wine’s tannins. You’ll get a mouthful of metallic or bitter sensations. Red meats—especially with marbled fat—will soften these sharp tannins. It’s why most people opt to pair wines such as our Malbec with a Porterhouse steak or a dinosaur-size Prime rib. Back to considering the preparation method over the main ingredient: Pass on a red wine if your dish features a cream-based sauce. The fats and milk solids will coat your tongue, allowing only a portion of the spectrum of flavors contained in red wines to make it to your taste buds. That limited spectrum may not be to your liking. Go for something oak-aged, like a creamy Chardonnay. Galileo was on the bad side of the Catholic Church for more than 300 years for daring to voice his opinion about our Earth and the sun. Ultimately, the church admitted that there was a preponderance of evidence to their contrary belief. You may have some pushback when you decide to order a bottle of our Viognier to go with your steak au poivre. It’s doubtful you’ll spend the rest of our life under house arrest, though. In fact, you may actually gain standing by educating your naysayers about the limiting consequences of the white/white red/red rule. 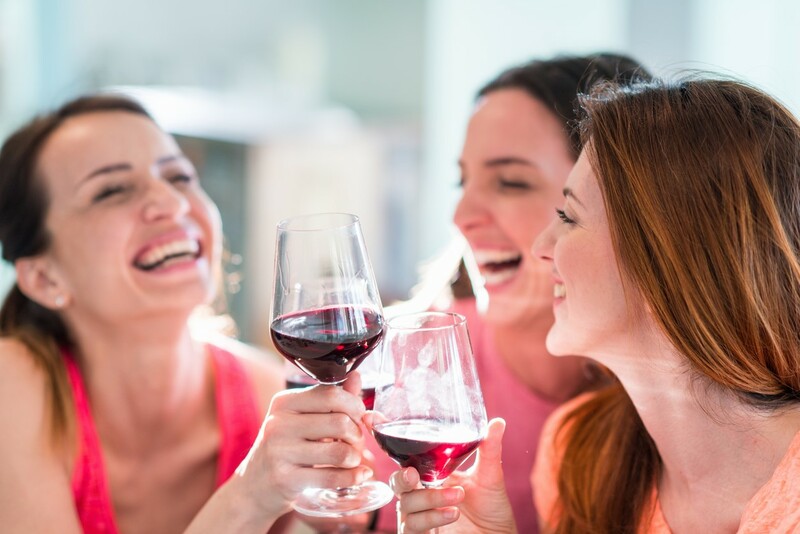 Forgive us if you took one look at the title of this post and laughed out loud; we understand that for a lot of folks, once a bottle of wine is opened, there is little chance there will be any left. But on the rare occasion that you and your guests have had your fill and you realize there’s wine leftover, you definitely don’t want to waste it. First of all, why does wine go stale? The culprit is oxidation. At first, oxygen is often good for wine. This is why people are encouraged to swirl it in their glasses or ‘let it breathe’ once it is opened; oxygen releases flavors and aromas. However, when wine gets too much oxygen for too long, it degrades. It becomes bitter and eventually it will turn into vinegar. You only really have two or three days to enjoy a bottle once it’s opened. 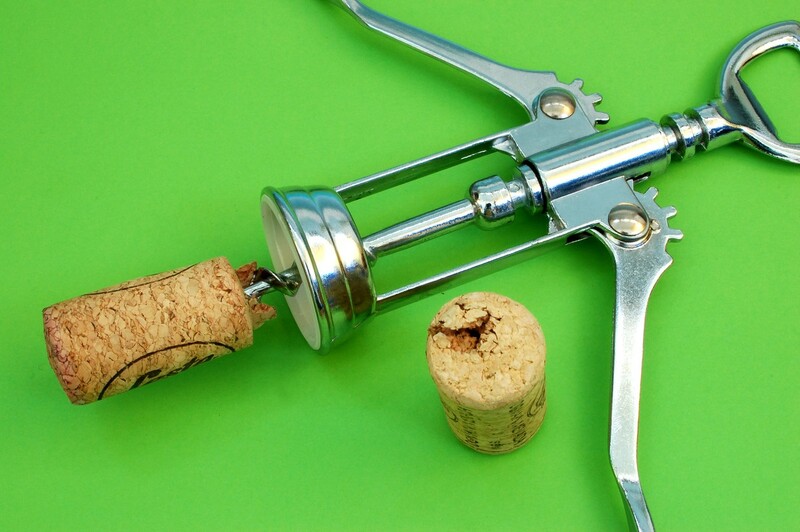 This one may seem obvious, but the quicker you get that cork in, the sooner you can slow down the oxidation process. Make sure it is in nice and tight. A common mistake people make with open wine is leaving it out. Once you put the cork back in, you can put the bottle in the refrigerator. The cold temperatures will further help limit the impact of oxidation. 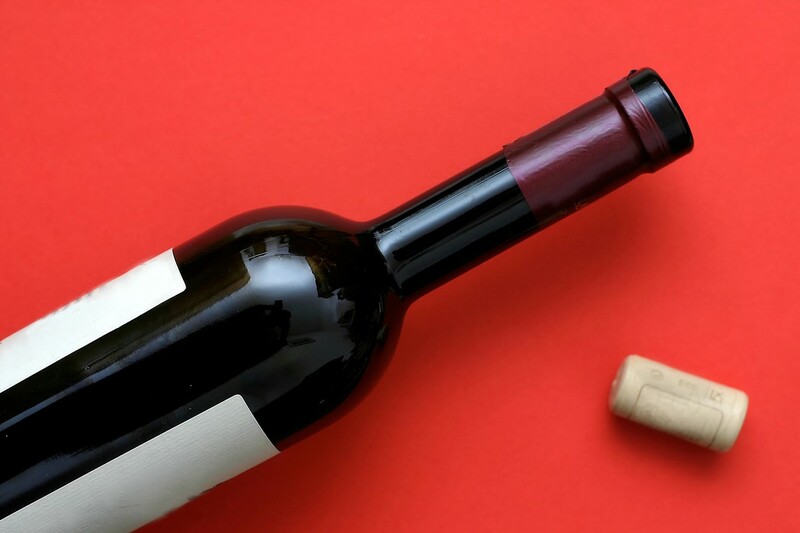 The two previous measures can preserve wine, but all of that extra air in the bottle contains oxygen, and we know what oxygen does to open wine. This is why if you have an empty half-bottle sitting around, pour it in. An even better option is a mason jar with its airtight lid. 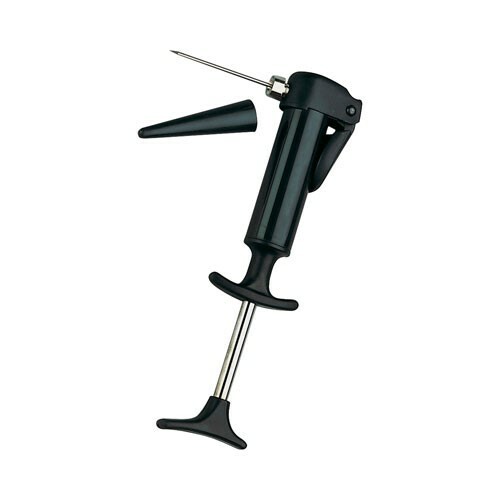 If you constantly find yourself with open bottles of wine, it may be time to invest in a Coravin. 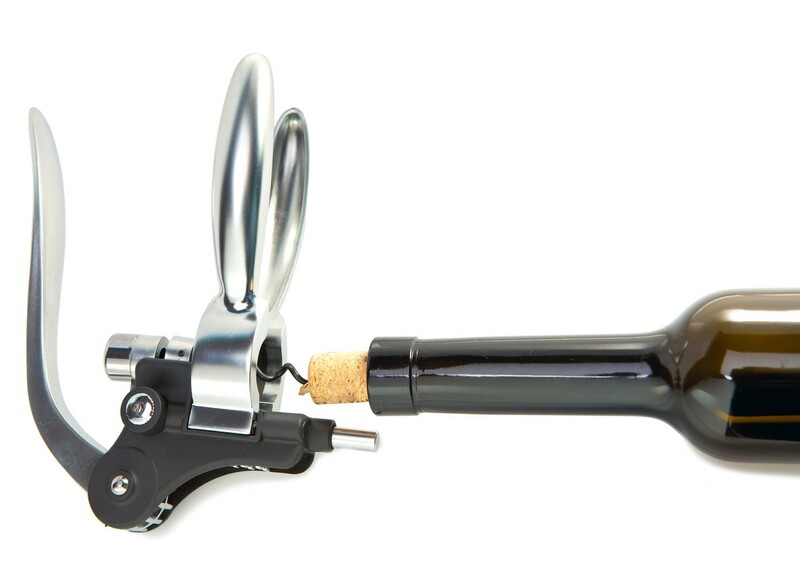 This contraption uses a needle to pierce the cork and then sends argon gas into the bottle. You can pour however much you like and then take out the needle. At that point the cork seals naturally, so you will not have to worry about that pesky oxygen getting in. No matter if it’s your favorite bottle of inexpensive wine or perhaps something you’ve splurged on, you do not want to squander any of it. The above tips will help you enjoy it longer. And if you’re looking to try something new, come join us at Orange Coast Winery. We have a great selection of wines you’re sure to want to take home. And whether you finish a bottle in one sitting or not is up to you.